When Batman first enters the Maintenance Room under the Gotham Pioneers Bridge, there is a data pack up under the stairs that he moves down. This is the same room where he meets up with Gordon... Firefly later attacks the Gotham Pioneers Bridge to draw Batman out, planting explosives throughout the entire structure in addition to taking hostages. 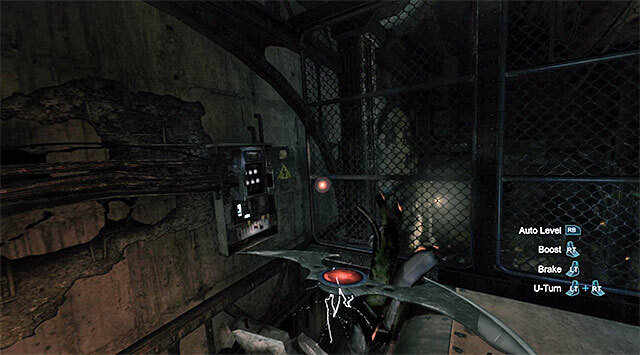 Batman ultimately manages to incapacitate Firefly's bombs with GCPD Lieutenant James Gordon 's help, before deactivating Firefly's jetpack and leaving him to be taken into police custody. Gotham Pioneers Bridge isn t considered a district, and therefore lacks the Comms Tower and the Enigma Relays. However, you can still find twenty Enigma Datapacks, ten of which are inside the central pillar of the bridge. Back at Wayne Manor, Bruce allows Selina to take one of his cars in order to get back into town. Selina later assisted Gordon, Bullock, Pennyworth, and Oswald Cobblepot's gang in rescuing Bruce Wayne from Theo Galavan and the Order of St. Dumas. Gotham Pioneer's Bridge Entrance Where is the entrance? Note: I'm doing collectables during end-game, and I can't seem to find the entrance (or remember where it is) for the life of me. Appreciate the help. UPDATE: Found it -_-. East side of bridge, very bottom there is a maintenace entrance.